We have had a lot cooking in our kitchen lately, both food wise & décor wise! As most of you know, I am a clean freak and neither Kevin nor I like clutter! 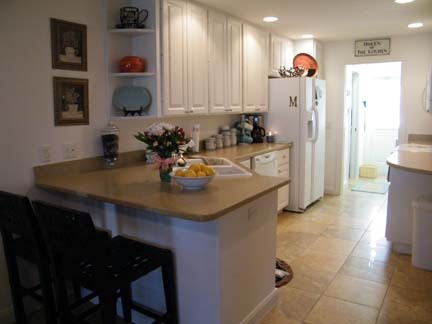 The kitchen is the heart of the home, the place where families gather, friends chat and dessert is made delicious! It can also be a place where clutter just seems to form! This week we are wondering what sits on your counters? Do you like all of your small appliances out, like your toaster, blender, etc? Or are you a less is more kind of person? Or, maybe your counters get cluttered with school work & bills… Do tell! & last but not least… our decorative wire pear! Alright, so what about you? 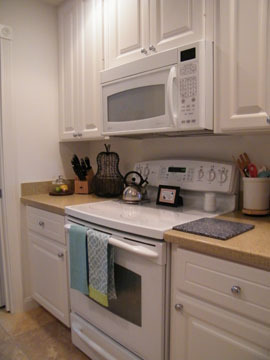 And while we are on the subject, what are your secrets to keeping a clean & clutter-free kitchen? Do tell us! 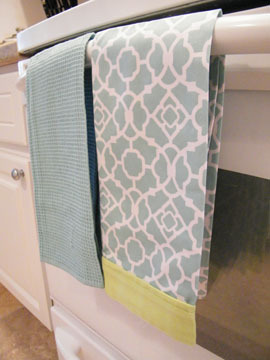 Psst… We have a fabulous Gracious Giveaway scheduled for this Monday… you won’t want to miss it! Also, Check out our new Etsy Shop for handmade decor & more! Besides that though, I keep all small appliances out of sight. It’s just the utensil basket, toaster, coffee maker (totally necessary! ), dish soap/hand soap and 3 canisters for tea, coffee and sugar. Can’t wait to read about the giveaway Monday! Have a great weekend!!! Cathy~ We don’t have kids (yet) but I am sure that will be a new task and adventure in our “clean freak” lives over here! Let me know if you have any tips!! Oh Really, tough to have the neccessities without the space! How do you make it all work? Toaster, coffee machine, a wine holder with no wine it it — something that should be resolved immediately — and a fake fern. Can we have a whole article about people who love green in their house, but don’t have the windows to grow plants or have a deep love of bamboo? Liz~ Thanks for stopping by! I am more than happy to share a post about adding some green and plants in your home without the window space…. stay tuned!